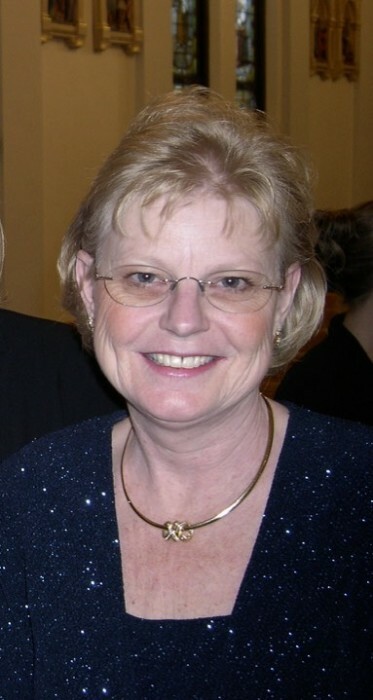 Cindy Sue (Foote) Nelson age 62 of Crosby died on April 5, 2019 in her home. She was born in Crosby, MN on August 27, 1956 to Gene and Joan (Raymond) Foote. Cindy married Barry Nelson on December 17, 1976 at the Crosby-Ironton Presbyterian Church in Crosby. She graduated from Crosby-Ironton High School in 1974. She was employed by the City of Crosby from 1990 to 2000 as Police & Fire Dispatcher and served as Clerk/Treasurer from 2000 to 2011. She was an active member of the Crosby Fire Department Women’s Auxiliary, MMFCU Supervisory Committee, Past Honored Queen of Bethel 67 Crosby, member of Evergreen Chapter of Eastern Star Chapter #204 and Woodland Chapter of Eastern Star #122. Cindy is survived by her husband of 42 years, Barry; two sons, Jon (Laura) Nelson of Woodbury, Brian (Kendall) Nelson of Irondale Township; five grandchildren, Lily, Brenna, Kara, Hannah and Kaleb Nelson; one sister, Julie (Steve) Hatzung of Minneapolis; two brothers, Lonny (Jody) Foote of Brooklyn Park, Scott (Lisa Salzl) Foote of Plymouth; mother-in-law Ruby Nelson, Crosby. Preceding Cindy in death were her parents; one sister, Loxie Foote; father-in-law Marlin “Muggs” Nelson. A Celebration of Life will be held at 11:00 a.m. on Friday, April 12, 2019 at Lifespring Church in Crosby. Burial will be at the Lakewood Cemetery in Crosby. Luncheon to follow. Visitation will be on Thursday, April 11 at the Koop Funeral Home in Crosby from 5 to 7 p.m. and on Friday one hour prior to the services at the church. In lieu of flowers memorial donations in honor of Cindy can be made to the Crosby Fire Department Women’s Auxiliary. Arrangements are with the Koop Funeral Home in Crosby.